7 Critical Questions about e-Learning. Free e-learning white paper. 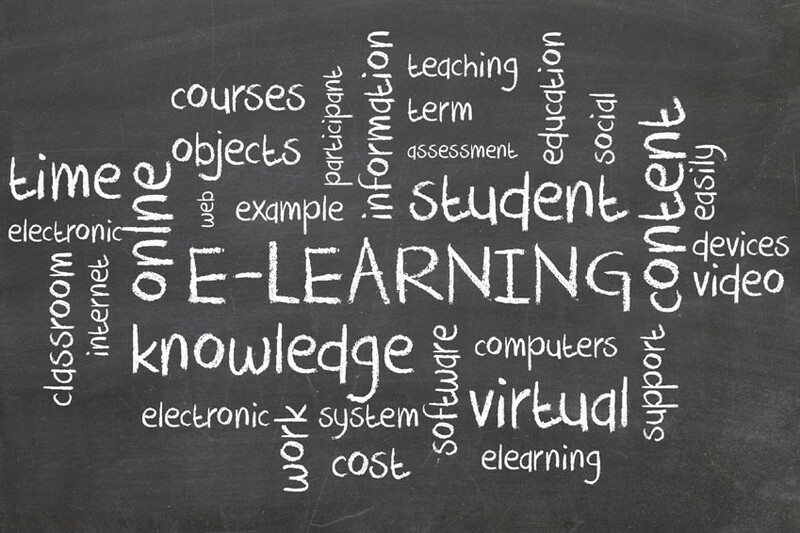 What makes e-learning effective? Or perhaps we should ask the question the other way around: What pitfalls must you avoid in order to implement a successful e-learning program? Either way, we know it can be a daunting process to choose the right e-learning delivery and management system for your needs, and to develop effective course materials that meet today’s standards of instruction. How does e-learning benefit your organization? e-Learning is also specific to your own environment…tailored to your needs and your specifications, leveraging the experience of your experts. It’s not broad theory, it’s not academic…it’s just what you do. Training can be focused on the “how to” elements of the process; for example, it’s very easy to demonstrate how to complete the fields in a new form that has just been introduced, or to review the steps in a newly implemented process. When e-learning addresses a business process and regulatory compliance–to create alignment with organizational goals and mandatory requirements (an area of increasing concern to most organizations)–it can also help ensure that personnel are operating in a cohesive manner and according to the organization’s standard operating procedures. Compliance reduces liability. A key element in any e-learning structure is a Learning Management System (LMS) or a Learning Content Management System (LCMS), a software program that stores and delivers the course content, and tracks student access and progress. A good example of an up-to-date system is the eLeaP LMS that leverages Web 2.0 technology. We’ll talk more about how an LMS works in a later section. Another critical element of an e-learning system is a courseware development process (sometimes called authoring) that prepares the content for e-learning delivery. Despite the differences in technology and delivery methods, e-learning relies on essentially the same principles of most traditional learning methods, imparting new knowledge and skills that alter behavior and improve performance. Typically, e-learning courseware produces training courses that comply with the SCORM standard, a set of technical standards for e-learning software products. The purpose of the SCORM standard is to tell programmers how to write their code so that it can “play well” with other e-learning software. According to several industry experts, SCORM governs how online learning content and Learning Management Systems (LMS) communicate with each other. SCORM does not speak to instructional design or any other pedagogical concern, it is purely a technical standard. The purpose of this standard is to enhance the interoperability of training materials from one system to another. A recent development has been what is called “rapid deployment” training, using PowerPoint output converted to Flash for web delivery. Commonly used courseware development programs of this genre include Articulate Presenter or Storyline) (www.articulate.com) and Adobe Presenter (www.adobe.com), along with a number of similar programs that convert PowerPoint presentations to Flash for easier storage and relatively universal access. In addition, there are a number of simulation programs such as Adobe Captivate and Camtasia (http://www.techsmith.com/camtasia.asp) that are used primarily to demonstrate and train users of software programs or to deliver “how to” technical presentations. In some cases, content can also include video productions (in whole or in part) for web or streaming media delivery. “How to” videos abound on You-tube. The final element is a delivery and receiving platform that presents the training to the learner. This typically resembles a client/server environment when used on the Internet or an intranet, ensuring the user access to the material. On occasion, e-learning is delivered through a CD-ROM or DVD that is physically delivered to the learner. This media can be used on a computer or on any CD or DVD player capable of reproducing video, replacing, in a way, the old-fashioned training movie. What are the key challenges preventing e-learning success? Considering first the three elements outlined above, what prevents success in the creation and implementation of an e-learning system? While there are numerous obstacles preventing the success of any endeavor, the e-learning systems, because they are relatively new and somewhat unknown, certainly create their share of pitfalls, and then some. Obstacles can often be found in every aspect of e-learning…from content development through delivery to effectiveness. Wrong approach to content development: Although desired outcomes are the same for traditional training and e-learning, instructional design methods often fail to account for this. In simple terms, to be effective, e-learning must find new ways to involve the student in the learning process. The material will be ineffective if delivered simply as a textbook. It must become totally interactive so that we can replace (to some extent) the classroom instructor with increased student involvement. This means relying more heavily on exercises, quizzes, simulations and assignments than we would in a traditional environment; we need to duplicate to the extent possible the “see, do” method of training, allowing the student an opportunity to practice the new learning. And we need to do this frequently throughout the course. Wrong authoring tools: The tools you use to create e-learning must align with your training objectives. Authoring tools enable instructors or designers to build courses and supporting materials such as quizzes and simulations. Consider: Do you really want to propose training your current instructors in the use of Captivate? How about Flash? Remember, too, that today virtually all software packages that are used to create e-learning courseware require licensing. A relatively simple program that converts PowerPoint to a SCORM compliant Flash package, such as Articulate Presenter, can cost upward of $1,400. And that’s per seat! This feature is built into the eLeaP system and is free. Authoring programs that are platform specific (e.g., Windows XP) will require maintenance in order to keep them current with new technology. This, of course, is generally not free; unless, that is, you are using a hosted e-learning platform that is essentially “rented” (such as eLeaP), and includes upgrades and maintenance. Programs such as these are often known today as Software as a Service, or SAAS (and sometimes simply SAS). However, there are going to be occasions where you may require specialized training tools, for example if you are training students in the use of a particular software package. In this case, you can use programs such as Captivate or Camtasia that simulate the actual working environment and allow users to develop skills without affecting “live” data. If you lack the resources in house for doing this, a third party contractor might be a good choice. Or even better, if you are using a system such as eLeaP, you can find specific expertise through its customization capabilities. Wrong system employed for training: The systems you use for courseware development, delivery, learning management and assessment must integrate with one another. Think of them as tools. But remember, to a hammer, everything is a nail. You must, therefore, choose a Learning Management System with the flexibility to host a variety of courseware types…from interactive simulations to Flash video to real-time problem solving. For example, have a look at eLeaP’s Learning Management System (www.eleapsoftware.com). It has the flexibility to host virtually any type of courseware that is SCORM compliant. A lack of this flexibility will severely limit the materials that can be delivered to the student. You must also consider the system’s ease of use. As with the eLeaP system, students must be able to gain easy access and find an intuitive interface that requires little or no training. The system must work on virtually all platforms using any standard web browser. It must operate flawlessly so that, from the learners’ perspective, the fact that the content is being delivered electronically is secondary to the learning process. Wrong level of investment: There are many systems available today that require virtually no startup funding and that can be deployed in practically no time at all, e.g., the eLeaP LCMS. Why, then, would you want to consider a system that costs upward of $250,000 to start and requires a significant amount of resources to implement? After all, these are not full-blown ERP (Enterprise Resource Planning) systems that must integrate all organizational functions. Avoid the heavy sales pitch that uses the scare tactics of systems integration capabilities. Generally speaking, a simple Application Programming Interface (API) can be developed at minimal cost to integrate any LMS into the organization’s Learning and Development recording system. Also keep in mind that many of these complex Learning Management Systems require a good deal of expensive, specialized technical support and training just to create courseware that is compatible with the delivery system. Again, the fact is that systems such as eLeaP require no programming or startup costs at all, deployment support is free, implementation and online training is free and 24/7 customer support is free. The bottom line: Think twice about paying extra for course development tools, implementation training and ongoing technical support. With eLeaP, all of these are included. What is involved in implementing an e-learning system? The use of sound planning techniques is probably the best first step to implementing an e-learning system. Good planning should reflect a strategy that is in line with your organization’s resources so you won’t be caught in the middle of an implementation without funds or personnel to finish. Estimated number of users in three years. How many courses will you want to offer? How often will new courses be introduced? What is the primary nature of the courses: What percentage are hands-on simulations; what percentage are academic? Will you use multi-media formats (audio/video/animation)? What in-house resources do you need to manage the system? The next step is to find internal stakeholders that can assist you with a needs analysis and become part of an ongoing team that will evaluate potential vendors. Establish ground-rules for team operations such as meeting times, roles and responsibilities, and so on. With the team engaged, develop a set of objectives. It is important that these objectives are based on the statistics you assembled in the first step and are in line with the expectations of the team. From these objectives, create an outline of what features are needed to meet these objectives. Often, this is put into the format of a Statement of Work. List features as “required” or “desired” so that you are sure to get the necessary elements before using up your budget. Next, establish a time line for the project, outlining each of the steps that will be required and the time it will take to complete. You will also need to indicate which individual team member will lead in the completion of each task. Work this into a calendar format so you will know what element is due when and what tasks must be completed before going on to the next. Then, research the e-learning systems provider market. Determine what suppliers are potentially qualified based on the team’s criteria. Request a proposal from each of the vendors you find relevant, addressing their ability to meet your detailed requirements. Ask yourself if their systems meet your needs and where the gaps exist. Most e-learning providers will have a free trial available so that you and your team can test drive their system. eLeaP, for example, offers both online demos as well as a free, hands-on 30 day trial. Once you have established your objectives and criteria, researched the market for systems that fit, created a short list of two or three platforms that meet your needs, go on to the next step, outlined below, of selecting a vendor. Vendor selection is akin to a virtual minefield: One wrong step and you are a goner. Nevertheless, an organized, comprehensive selection process is exactly what is required. You can do this best if you develop a checklist so that you are certain that you have asked each potential vendor the same questions and are comparing oranges to oranges. In any vendor selection process there are generally a number of important criteria, such as pricing, technology, quality, service and so on. Many professional procurement personnel use a checklist to develop a comparative rating for each of the considered suppliers. Using the checklist, each major category is assigned a weighting that is a percentage of a total that adds up to 100. The categories contain a subset of questions, the answers to which are rated for each potential vendor, typically on a scale of 1 to 5 or 1 to 10. Thus price may be equal to 40% of the total, allocating its subsets a portion of the 40% and then scoring the answers to each of the subset questions. For example, under Technology we may want to rate Web 2.0 capability. We assign a 5% value to it, remembering that the total of all the subset percentages must add up to the overall percentage assigned to that category. If a potential vendor is fully Web 2.0 implemented we would assign a score of 5 (on a 1-5 scale); if not at all we would assign a score of 1. The score for each subset of the category is totaled and that becomes the vendor’s score for that category. Each of the categories are subsequently totaled to provide an overall score for that vendor. Keep in mind, though, since the ratings are most often based on opinions rather than pure facts, so are relatively subjective. You might consider using a team to develop consensus for each of the ratings, making it a bit more objective through multiple inputs. Does the vendor serve organizations similar to yours? Is the vendor’s customer base sizeable enough to ensure continued operation? Does the vendor support customer implementations with training and support? Can the vendor assure you of a successful implementation? Does the vendor have a proven plan for implementation of its system? How long has the vendor been operating in the e-learning market? Is pricing in line with similar offerings? Does the vendor rely primarily on revenue from its commercial system or is customization a large part of its income? Does the vendor offer a base price that scales with volume? Does the price include everything you will require to get started? Can you see a relationship between cost and quality? Does the vendor guarantee successful operation? Is there a stated quality policy? Are “bugs” resolved quickly or do they wait for a future release? How easy is the system to use: How much training is required? Does the system require minimal resources for administration? How reliable is the system: How often and for how long does it go down? Is the vendor’s program based on current instructional design methods? Is the vendor’s staff properly trained and certified? Is the system’s technology up to date? State-of-the-art? Does the vendor rely on outside support for its basic services? Is the system capable of delivering current types of media? Does the vendor provide multiple solutions for your needs? Can the system operate with various authoring tools? Does the system support user interactivity? Are maintenance fees readily available? Does the vendor require the purchase of periodic updates? Does the vendor provide 24/7customer support? Are the employees that provide the support knowledgeable? Does the system support multiple languages? It is very important to remember to do the math (as outlined earlier) when using this checklist. Doing so will enable you to gain buy-in from your internal customers (especially if they participate in its development) and help you select the supplier that offers the best overall value. 7. How do I roll out the e-learning system to ensure user participation? When analyzing your organization’s training needs, it is important to understand the nature of e-learning, its benefits, its options and, perhaps, its limitations. It is also important for you to become familiar with the various elements of an e-learning system and how they are integrated, along with the financial implications of your choices. In making your choice of system, watch out for the common pitfalls and be certain to follow a methodology in selecting the vendor. Finally, establish a plan for implementation and choose the right individuals to guide the process.